Door seal. Suitable for brands: Hotpoint, Indesit, ScholtesDoor Bellows Seal (h L)This item replaces product numbers: C00262267. 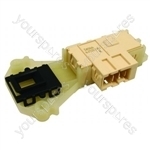 Genuine spare part suitable for selected Ariston, Hotpoint, Creda, Indesit and New World appliances. Prompt delivery and the part resolved the problem I had. no fixing problems. Seems in good condition - came quickly. NOt yet used as not what I needed. Part as described. Excellent service.